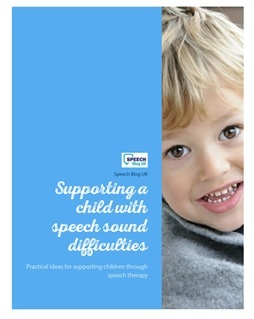 When speech and language therapists assess younger children’s understanding of language, we often talk about “key words” or “information carrying words” – ICW’s. ICW’s is a term originally used by the Derbyshire Language Scheme, 1982, Knowles, W and Masidlover, M. What both of these terms refer to, are the number of words in a sentence you need to understand to follow it correctly. For more information about ICW’s read our posts about ICW’s, 1 ICW and 2ICW‘s. 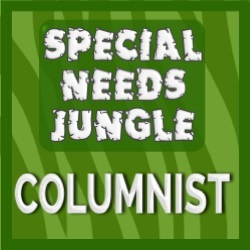 You should read these posts first to understand the structure, unless you know your child needs to be working at a three key word level. 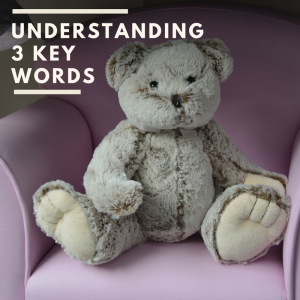 The next step in a child’s understanding of language is three ICW’s or key words. This is where things start to get more complicated! Remember that for a word to be a key word in a sentence there has to be a choice. So to get three key words in a sentence we need to add in some basic concepts and adjectives e.g. size words – big/little, colours, place words – in/on/under etc. You need to ensure that your child understands these words before including them in a three key word task. You also start to get some more complicated ideas at three key words such as object function. So the jump from two key words to three key words can take a little time and practise. Below are a few activities that work at the three key word level. There is however a great range of instructions at this level that we will break down further in later posts. Some sort of teddy and dolly. This can be a Thor and Hulk rather than a Barbie and baby – pick toys your child will engage with! Teddy/ dolly – again if your child would prefer fireman Sam and Bob the builder use those! Hide teddy under the chair. We are going to get the children to run, hop or walk to some of the objects. So the choices are the verb (run, hop, walk), the concept of big/little and the items. Put the objects around the room where the child can see them. Try and use objects that are obviously different sizes and talk about them with your child first. The give them some instructions like a Simon says game. Remember to put the items back in between each instruction. There are many other ways to work on three key words, but these ideas will get you started. There are also a couple of apps that are great for key words. One I use all the time is called Key Word Kids and you can also use Splingo’s Language Universe. Teaching the ‘s’ sound – part 2.